Sri Lanka has an opportunity to define its persona afresh and chart our path towards equitable and sustainable development, socio-economic progress, a strong democracy with strong institutions, Foreign Affairs Minister Mangala Samaraweera said. Minister Samaraweera was addressing the convocation ceremony of the Bandaranaike International Diplomatic Training Institute (BIDTI) on Thursday. The minister said a nation that is at peace with itself and with the world, will be a model for other post-conflict developing nations. This journey is an important one for our country. A journey in which every one has a role to play as citizens of the nation. This is the time for action – for responsible and decisive action to make every effort, no matter how small, to support initiatives and also initiate measures that will help institutionalise good governance, democratic norms and practices, a strong judicial and rule of law regime, sustainable development, promotion of individual rights and ensure reconciliation and durable peace in the country, he said. 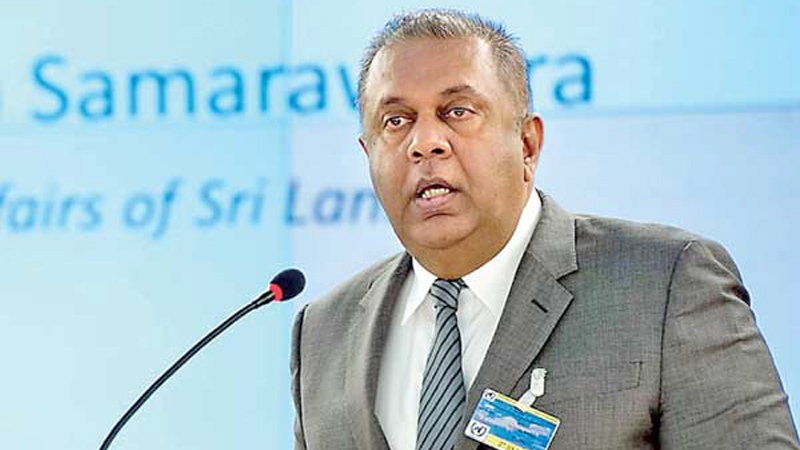 Minister Samaraweera said in the age of instant communications and 24/7 breaking news combined with new technologies and social media, it is necessary that people make a conscious effort not to get carried away and get caught up in the stream of news alerts that bombard them. Issues should be studied. Extremist ideologies have taken a toll in the country for three decades, he said.